Have you ever felt as if a mysterious black cloud of despair was rising from the great depths of the universe? That it was cresting over the horizons of your life, blotting out all sunlight as it closes in and paralyzes you in fear? And maybe you felt that this slow-motion tsunami of dread was a deserved punishment for you personally, and humanity in general. And you realized, as I have, that this unstoppable, groaning wave was a natural outgrowth of your own moral torpor — the listlessness you had demonstrated over and over again, allowing injustices, petty cruelties, and incompetence to extend their reign over everything you loved, until finally it crashed on you, plunging you into a darkness beyond the reach of light, hope, and redemption…. The inevitable Bush-Clinton presidential campaign is gathering itself along the horizon. It will be a boring, substance-less grind that turns on just which candidate’s operation can direct slightly more of the public’s disgust over the worst parts of the last two decades at the other candidate. SOURCE: Why a Clinton-Bush presidential race fills me with nothing but despair. I remember a time, way back thirty years ago before President Reagan when there was not Clinton or Bush on the national scene. But for the last almost twenty years those two families seem to have dominated the news and as a result I have severe Clinton-Bush Fatigue. I am simply totally exhausted with all the vitriol ranting that has taken place in our country since these two families have been battling for the supreme Monarchy of the USA. About two-hundred and fifty years ago we went to war to rid ourselves of a monarch and as far as I am concerned I don’t want to return to that state. There is so much baggage surrounding these names that if they are nominated by the parties it will surely be the most dirty mud-slinging presidential election in our history. To me it would come down to which would cause the least harm to our country and right now that is probably a close call. Our country needs to get away from all this hatred surrounding us lately and Bush and Clinton are the source for much of it. Surely the two parties can at least give us voters an alternative to these two but given that money pretty much controls all of our political processes now who becomes the candidates will probably be a done deal before we have our say. Russian President Vladimir Putin said he considered putting the country’s vast nuclear arsenal on alert to prevent outside agents from stopping the Kremlin’s forced annexation of the Crimea peninsula from Ukraine last year. Putin’s admission was aired during a prerecorded documentary called Homeward Bound, which was broadcast on a state-backed television network Sunday in the run-up to the first anniversary of Crimea’s annexation later this week. SOURCE: Vladimir Putin Admits to Weighing Nuclear Option During Crimea Conflict | TIME. During our 30+ years of the Cold War and the nuclear standoff with the USSR a strategy was developed by the west called MAD. It stood for “Mutually Assured Destruction”. It went something like this. If the USSR bombs us with a nuclear weapon we will send off our entire nuclear arsenal on them and that will basically ensure that both countries, and probably the rest of the world, would be totally destroyed. The USSR then said we will do the same to you. I’m sure that was constantly on the minds of both country’s leaders during those times. Why do we constantly fear another country, rogue or not getting a nuclear weapon? The sixty year old technology is pretty much known to all the world’s scientists now. It is just a matter of getting the materials together to build one. We need a different deterrent to stop the spread of nuclear weapons than just trade embargoes and such. We need TAD, “Totally Assured Destruction”. That is the statement signed by all, or almost all, countries that says that if you use a nuclear weapon on another country the rest of the world will do whatever it takes to insure that your country is totally destroyed. No “if”, “ands” or “buts”. Your country is toast. Can you image a hundred war machines immediately charging into Iran for example because they used a nuclear bomb on Israel. Would they really want to use a bomb under those circumstances? Of course part of this new tactic would require that the rest of the world start carrying their share of military might and that the US trim down our totally dominate war machine. But wouldn’t that be a win-win scenario for everyone. Let’s enact TAD and stop all these political games of one-upmanship that goes around a country buying aluminum cylinders.. Stop the current stupidity and come out plainly with “You use a nuclear bomb and your country will cease to exist”. I think one of the differences today is just the Internet. It has changed the whole information universe. It’s democratized, small-D, information out there. There are fewer sort of gatekeepers of knowledge. Instead, people go out and seek information, and they often find what they’re looking for that reinforces their belief. The Internet, you know, it doesn’t facilitate consensus, as anyone has noticed who’s gone on the Internet. Instead, it creates these sort of filter bubbles, these rabbit holes, these echo chambers. And these communities of sort of alternative knowledge develop that are often in opposition to the scientific mainstream…. So that’s part of what we’re seeing, is that there are lots of attitudes that are influenced by longstanding values, religious beliefs, political beliefs, other personal experiences. And that’s actually a longstanding pattern we have seen many years, but we have new issues…. SOURCE: Why we pick and choose which science to believe. If we don’t take the time to parse through what we find on the Internet it can lead us to live our life in filter bubbles, rabbit holes, and echo chambers (I love that analogy). The Internet is kind of like the Bible, if we look hard enough and are willing to ignore everything else we can find a phrase or two to back up our current worldview no matter what it is. The biggest example of this tunnel-vision mentality is Fox News with MSNBC not far behind. Fox News claims to be “fair and balanced” but most everyone, I’m sure even Fox’s regular viewers, know in their heart there is no truth to that statement. Sadly I do recognize that many get all their news from that source. 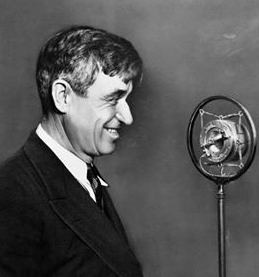 Will Rogers, my hero, said that if you only have one source of news then you quickly become a fool. I think those words apply maybe even more so today than they did almost one-hundred years ago when he said them. Let’s delve a little more into Scott Walker’s comments on the most recent personal attack on President Obama. Here are some words from Mark Ambinder over at the Week. When Wisconsin Gov. Scott Walker (R) told a reporter that he did not know whether President Obama is a Christian, he revealed himself to have a pretty jaded view of his own party’s base voters — that they are populist resentment collectors who can only make sense of the Obama presidency by attributing its genesis to conspiracies and malevolence…. The issue is not simply that Walker’s non-response response endorsed a falsehood. It’s that Walker knew the allegation was false and pretended that it wasn’t. Walker knows better, as does (let’s hope) any sentient politician. So he was lying. He does know whether Obama is a Christian. His lie was pure bait; a lure he put together to show he shares a sensibility with a particularly rapacious part of the Republican primary voting base. So far as bait goes, it’s cheap, unimaginative, and unworthy of a smarter politician. If Walker feels he needs to go after the hungry carp in the GOP, he’s not as steady and confident as he seems. His word choices diminish his character. The GOP is ready for an adult. Adult politicians aren’t passive-aggressive. SOURCE: Scott Walker’s warped view of his own party. As I mentioned in my post this morning I give more sensibility to the GOP base than Mr. Walker seems to. He seems to go all the way to the gutter fringe of the GOP to keep friends. I know those hate-mongering folks hang out on the edge of the GOP but they are certainly not the base and certainly don’t deserve any pandering from someone who thinks they have the qualifications to be president of our great country. The problem is simply that Francis has broken from too many elements in the Republican Party platform. First there were affirming statements about homosexuality. Then harsh words for capitalism and trickle-down economics. And now climate change. That, it seems, is a bridge too far. Francis has put conservative American Catholics in the position of having to choose between the pope and the GOP. It should surprise no one that they’re siding with the Republicans. SOURCE: The Week – The Republican Party’s war with Pope Francis has finally started. Yeah, Pope Francis does seem to conflict with many of the current foundations of the GOP. He simply cares too much about the poor and economic inequality. Being a Franciscan priest who spent much of his life among the poor in South America I am not at all surprised. He cares too much about climate change and being responsible stewards of the earth. He cares too much about loving each other. So, with a battle looming of allegiances between their religion and their politics which way will the average GOP conservative go? According to this article they, for the most part, are choosing their politics and like the NYPD, are turning their backs to this new pope and that in my mind is a total shame. I guess I shouldn’t be surprised though but I am definitely disappointed and I hope that it isn’t a broad thing among American Catholics. As a whole Catholics tend to vote Democrat but that is primarily because a significantly larger number of non-white Catholics skew the results that way. In my mind this is the most relevant pope in my lifetime as far as obeying Jesus’ command to love each other. I have been pondering that question for some time now myself Will. We all know that so much of politics, particularly the GOP brand, is primarily driven by fear. The politicians want people fearful of their opponents winning over them. They keep our military budgets at absurd levels by keeping us fearful that if we reduce that grotesque spending on our war machine terrorists will flood our shores. But then again isn’t religious intolerance the reason for the majority of the world’s wars? We religious people seem to allow our extremists to tell us who is our enemy. Right now some of those jihadists nuts say that anyone who is not a Muslim simply need to be eliminated. They threaten, and sometimes even carry out that threat to a minute degree. It amazes me how the vast majority of any religion, but particularly the muslims, doesn’t reign in the rouges among them. They seem to let the extremists talk for them?